With last year’s colour forecast from Pantone bringing us the gorgeous rose quartz and serenity, the stage was set for happy, colourful pastels and what better place than in the nursery. In 2017, we can bet on gentle hues remaining on trend with colours such as dusty pink/terracotta, pale turquoise and muted olive. Pair these shades with pops of dark forest green, yellow/orange/gold and cerulean blues and your nursery will be totally on trend. 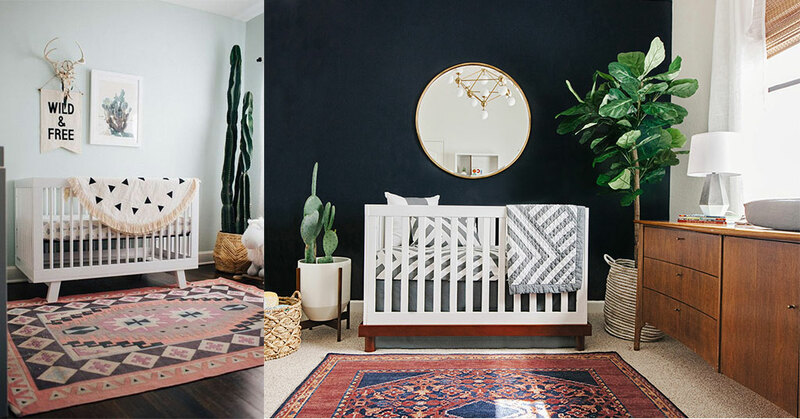 We all love the dazzle of jewel tones and there could even be fabulous swirls of wine red and emerald green to be enjoyed as your nursery accents. The hand-painted watercolour look is definitely on our radar this year. What started out as being smaller (and safer) cute little watercolour prints for the nursery walls, has now blossomed into full focal artworks or entire walls covered in wallpapers featuring watery flowers, plants and even starry skies and forests. Paint your own or look for a trendy wallpaper. Maybe its got to do with conquering all the wooly beards out there, but we think everyone loves a beautiful blossom, whether you are a butch boy or a cowboy girl. From really mature heavier tapestry-like floral wallpapers to more whispy watercolour blooms, big bold flowers are the way to go if you want to feel happy. There cannot be a person on this planet that will not find lavish comfort in velvet cushions, natural textiles and faux fur. Pair these solid fabrics with flowy lace and chiffon drapery for a soft feminine nursery or bring in golds and ochres that pair well with wooden textures and plant themes. Metallics like brass, bronze and gold are still bringing sparkle to our lives. Combine them with soft pinks, greys and stone to bring out the shine in any nursery. Some of us can just never get into designing a room that is specifically “oh so baby”. 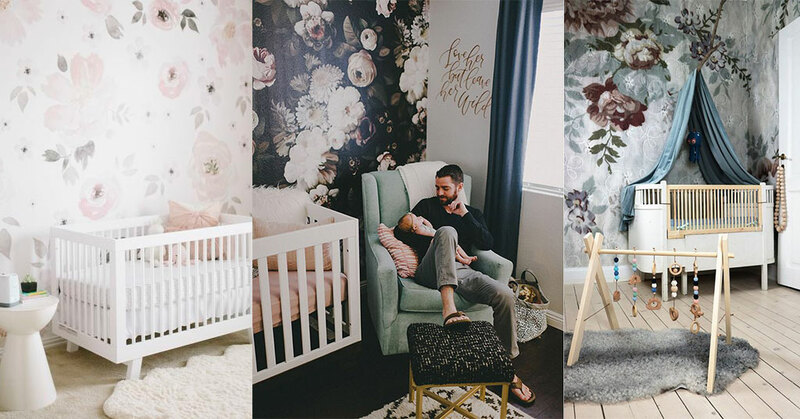 More and more new parents are making their nursery into a more grown up space which makes everyone feel at home, whether your apartment is really small and the nursery is in the lounge or whether you just don’t want vastly different themes throughout your house. Add some gorgeous aztec rugs to complete the look. Natural textiles bring a certain sense of honesty into your interiors, helping you gain a feeling of luxury and quality. Think of using elements such as Cork, cotton, yarn and natural textiles which will compliment beautiful nursery furniture perfectly. Look for 100 % cotton prints, natural handwoven rugs such as the gorgeous Armadillo & Co hemp rugs, seagrass belly baskets, 100 % cotton machine washable rugs by Lorena Canals and this cute range of cork boards. 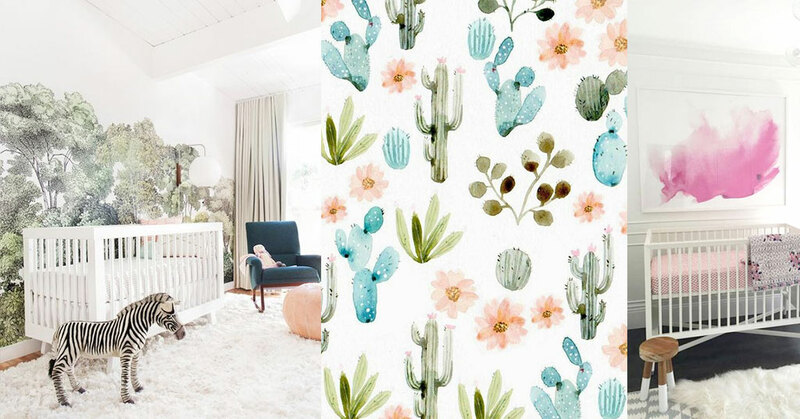 Cactus, palms, trees and all things green are featuring in kids rooms and nurseries. 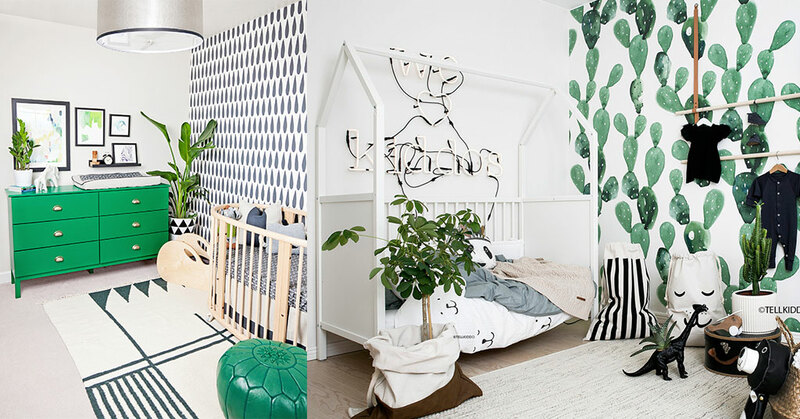 Combine them with green colour pops, natural materials and bold B&W prints to create a clean, fresh feel that will look great with white or natural wood furniture. This year the neutral colour trend is definitely fading into the past when it comes to decor, whilst natural wood accents remain the beautiful complimentary material for colour. 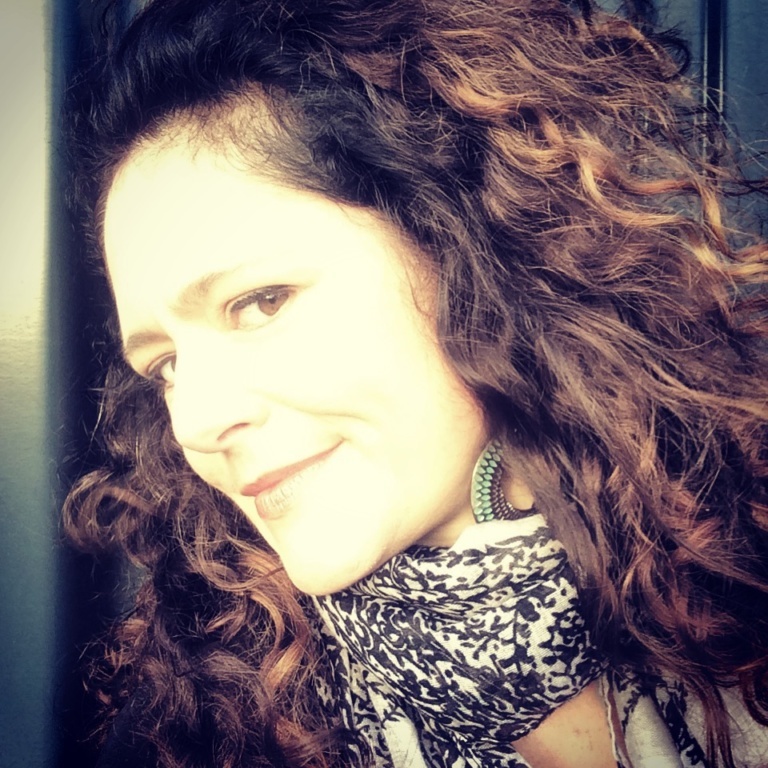 We are inspired now more than ever by honesty to materials and wood is the way to go! Leander offers a beautiful birchply cot that grows with baby for 7 years. Pattern will follow us everywhere. Mix it with other patterns or just use one strong pattern on its own. You can create pattern by applying decals, painting your walls, applying wallpaper, choosing pattern rugs or selecting printed bedding. Send us some of your pictures of your 2017 nursery!